We provide the tools and resources to help build your credit every step of the way. Insights give you real-time feedback on the actions you can take right now to start improving your credit. 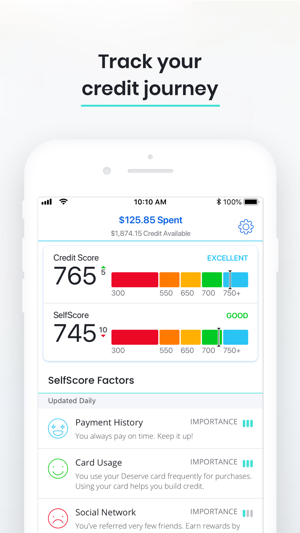 While traditional lenders only look at your FICO score and credit history to determine your credit worthiness, in absence of a history, our proprietary algorithm takes other factors into consideration such as your current financial health and habits to predict your future credit potential. 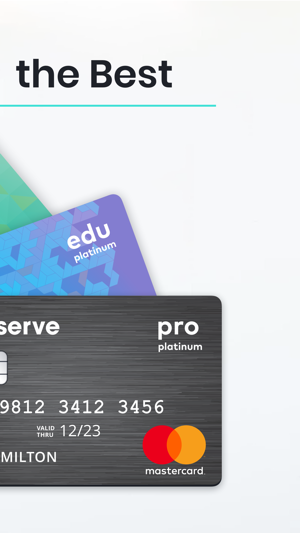 Our cards meet the strictest requirements of the law when it comes to security, using enhanced identity verification and consistent lending practices to ensure your safety. 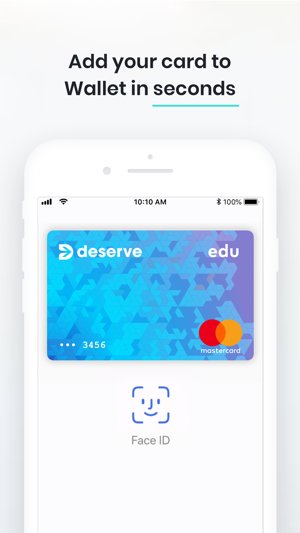 All of these features and we never sacrifice a simple experience to sign up or manage your account on the go..
Deserve® is a venture-backed startup that is dedicated to offering much-needed financial services to students at U.S. colleges and universities. Cards issued by Celtic Bank, a Utah-Chartered Industrial Bank, Member FDIC. 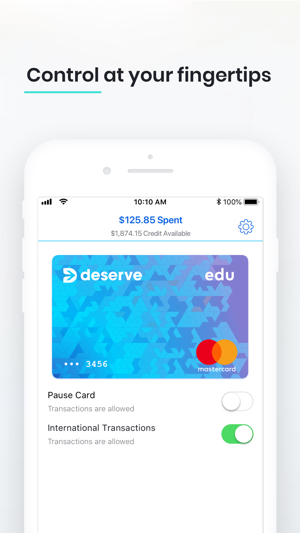 • Pause Card - Whether you forgot your card somewhere or just want to prevent unwanted transactions from occurring, you can now pause your card directly from within the app. 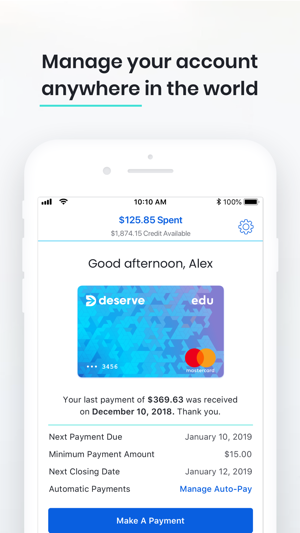 Manage your card status by tapping either the card on the home screen, the top banner from any of the main app screens, or from the account settings screen. 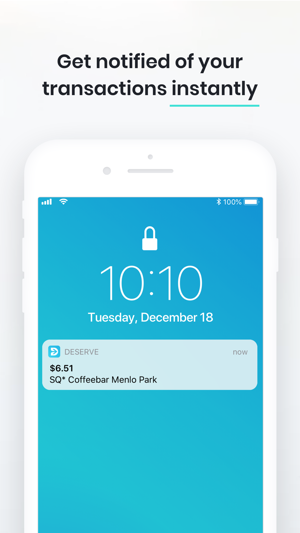 • International Transactions - When enabled, transactions which occur outside of the US will be allowed for as long as you leave this feature turned on. When you do return from your travels, turn this feature off to help reduce the risk of fraud and prevent any unauthorized transactions. Should you ever want to re-enable this feature, simply return to your Deserve Mobile app and toggle this back on again. Nice app with an intuitive interface however there are some suggestions for a better user experience. #1 Whenever the app is minimized, the session times out instantly and I’ve to login back again which is not very favorable. #2 browsing my statements are not viewable all the time and sometimes take forever to load the statement. 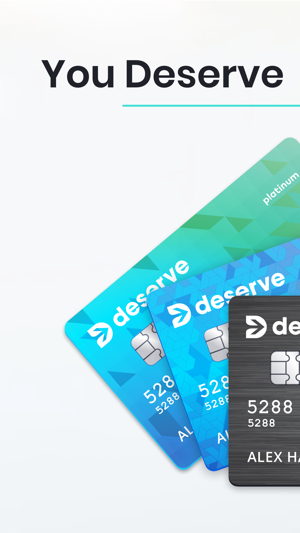 I’ve to admit that my statement with Deserve looks very comprehensible and neat compare to some other well known credit card companies, so I appreciate that very much. Other than that I’m satisfied with the experience. Thanks.